Starting with emergency relief work and ending with long-term reconstruction work, Tzu Chi Foundation’s Morakot relief operation is divided into three phases and six goals (the 6 Ps).” The three phases are immediate, middle term, and long term. The six goals include prompt relief and safety, psychological and spiritual support, permanent housing, preservation of children’s education, peaceful livelihood, and protection of the environment. More than 200,000 volunteers joined the relief work, and 51 countries around the world have launched fund-raising activities. The Foundation also held candle-light prayers across Taiwan, sending blessings to typhoon victims and survivors. When the disaster occurred, tens of thousands of Tzu Chi volunteers rushed to provide relief work. A total of more than 700,000 hot meals were served, more than 26,000 households received emergency cash assistance ranging from NT$5,000 to NT$10,000 per household, more than 40,000 eco-friendly blankets were delivered, hundreds of thousands of relief kits and sets of eco-friendly bowls and utensils were distributed. To prevent the spread of infectious disease and to protect the health of survivors, Tzu Chi International Medical Association (TIMA) doctors held free clinics around the affected areas. As for post-disaster cleanup work, more than 150,000 volunteers worked on street sweeping, sludge cleaning, and survivors’ house rebuilding. With regards to long-term reconstruction work, instead of building prefabricated homes for the survivors like many other organizations, Tzu Chi Foundation will select suitable land and construct permanent housing for Typhoon Morakot affected households. Tzu Chi expects to build permanent houses with new building materials that can guarantee resistance of 17-level wind and withstand earthquakes of magnitude 7. A safe and comfortable living environment will be provided gratis for affected households to settle down. The project will respect each local community and tribe’s cultures and traditions. Tzu Chi’s plan to build Great Love villages is currently one of the housing options provided for the Morakot survivors. For those affected households that have decided to settle in permanent homes, Tzu Chi will assist to build their permanent homes once the government appropriates land. Those affected households that have not yet decided to receive the permanent homes for resettlement may choose to accept other forms of resettlement until they decide to receive a permanent home placement option. The entire redevelopment project will take two years, allowing the survivors to have sufficient time to think about and adjust to the reconstruction plan that Tzu Chi will prepare for the survivors. 1. Prompt relief and safety: Immediately after the disaster, tens of thousands of Tzu Chi volunteers mobilized to provide hot meals, relief kits, emergency cash assistance, and to assist with cleanup work. In order to reduce the spread of infectious disease, TIMA medical personnel and volunteers held free clinics throughout the affected area. 2. Psychological and spiritual support: Tzu Chi volunteers visited and comforted the affected people, and helped these people in healing their mind and regaining confidence for life. The volunteers offered the spirit of Great Love and compassion through action, and they will continue to do so in the future. 3. Preservation of children’s education: To provide the children a continuous and safe educational environment and to assist with the development of skillful and talented people for the society, Tzu Chi will offer tuition assistance and allowances to the affected students. Tzu Chi Teachers Association is also planning to start offering academic counseling in middle schools and elementary schools in the stricken areas on weekdays and holidays. 4. Permanent housing: Tzu Chi values the importance of ethnic villages, and will provide safe and comfortable residences for the affected households to settle in. 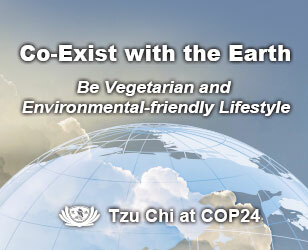 Tzu Chi respects the ethnic cultures and will construct the buildings depending on the different ethnic cultures. The residential buildings will be resistant to scale 17 wind and magnitude 7 earthquakes. 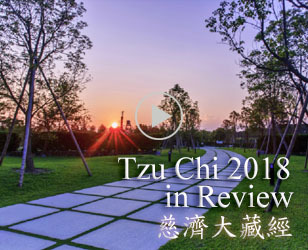 Tzu Chi will also allocate spaces for tribal public spaces and religious center for each community, maintaining each ethnic village’s traditions and cultures and making each community a sustainable home for the village. 5. Peaceful livelihood: Tzu Chi will provide livelihood support and counseling for the survivors. Tzu Chi intends to assist in discussions with the government so that the survivors can lease or acquire cultivated land in order to restore economic vitality. 6. Protection of the environment: Mountains are the souls of the aborigines. When the aborigines’ territories are damaged by natural and man-made disasters, how do we restore the natural habitat and protect the beautiful mountains, rivers and land passed down to us from our ancestors? The long-term land restoration and conservation policies should be combined with the strength and wisdom of the aborigines, so that the natural environment will return to its normal state. With the love of the volunteers from all over the world, Tzu Chi hopes to heal the wounds after the disaster, maintain traditional culture, and rebuild sustainable homes. 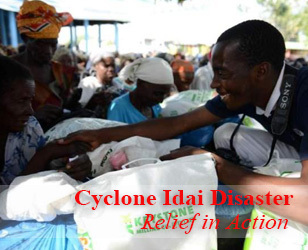 Tzu Chi sincerely wishes that the affected households will settle down in their permanent homes and have the peace of mind for generations to come without having to worry about potential destructions caused by natural disasters.
" The beauty of a group lies in the refinement of its individuals. "